Time to complete: 0 hours 30 min. I told myself that I would make something special for my student on deviantART, because she always believes in me to do my best and create something inspiring for others to be motivated too design something more amazing. This one is for you Kaizoku. Thank you for being my student for the past year. Very Beautiful, I love it. Very Nice! I really like the concept, the effects, the background... everything is so amazing. Beautiful combination of mosaic-like colors, looks very professional. Thanks. The colors are amazing, the blending fantastic. The shadows and highlights are absolutely perfect as well. Keep it up <3. 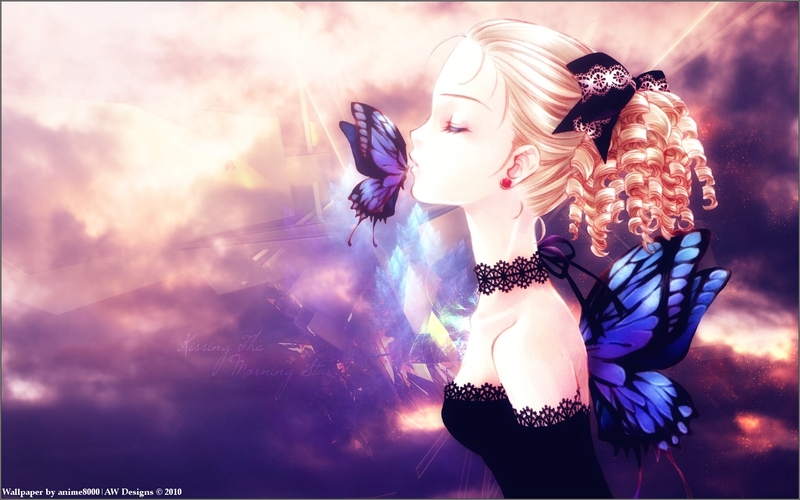 Beautiful kiss of the butterfly!